The Inverness Frasers are becoming my most challenging and interesting of brick walls. The blog serves as a testing ground before daring to assemble a family history. It may well be a fool’s exercise due to the absence of so many records. ➣ Hopefully, find the baptism of a John Fraser using parameters around his age at the second marriage and various census returns, i.e. searches 1768-1780 for a father called Alexander or James. Since finding John’s marriage to first wife Ann Fraser was a total bust, and determining the births of their first two sons in Scotland—Alexander and James—was inconclusive, why not go for broke on a luckless trifecta. Then a funny thing happened on my way to develop this blog post. My original list of relevant baptisms was based on the IGI. Those notes I made ... how many years ago ... necessarily had to be checked against the more recently digitised ScotlandsPeople images. Comparison with search results on ScotlandsPeople did not turn up three of my four “star” candidate couples! It did yield three new couples. ✱ John Fraser born 7 February 1777, baptized 10 February 1777, son of Alexander Fraser & Anne McIntosh—allegedly an extraction from Petty parish, Inverness-shire (not a patron submission). It’s still there on FamilySearch.org, the old IGI being buried in the “Historical Records Collection.” Searching for John on SP for the year 1777 brings NO MATCHES. The mother’s name in that entry had raised immediate interest because two of the sureties for the marriage bond of John’s daughter Nancy were a father and son called James McIntosh. Nancy and her intended groom crossed the Ottawa River from St. Andrews East to Prescott County in Upper Canada to complete the bond, probably at L’Orignal. The McIntosh men may have been merely friends of the couple, but it’s equally likely they were kin-related to the intended bride or groom. Our John named his second daughter Ann (Nancy); this fits with the (variable) custom of naming the second daughter after the maternal grandmother. “Making a case” that the 1777 entry could be my ancestor John and his parents took on a new twist. A kind soul identified only as Hamish responded to my Frasers Part 5. The two McIntosh men were his ancestors. James the son was a tailor who later became the county jailer at L’Orignal. James the elder had “recently emigrated” but alas, his place of origin in Scotland was not mentioned. Was it perhaps the same place from which my Nancy’s father John came? More from Hamish: James McIntosh Jr’s wife Beatrice was the daughter of Hugh Fraser who emigrated from Breadalbane in 1815 to Lochiel Township, Glengarry County. Beatrice and James apparently married in Canada. Did her father Hugh Fraser and James McIntosh Sr know each other because of their Scottish origins? It's a tenuous connection to the imminent Fraser bridal couple. Still ... it has a resonance. In the meantime Hamish has vanished. However. Nancy’s about-to-be husband was from the Breadalbane area (my Perthshire John Fraser). If my agonizing analysis had any merit, this is more likely a case of family associates of the groom. Nancy's father, Inverness John with a potential Inverness-McIntosh mother, got lost in the shuffle of possibly-Perthshire-McIntoshes. I'm reminded not only of regular traffic back and forth across the river, but also of spreading families with ties going back to Glengarry County. Nevertheless, did the said John Fraser born 1777 in Petty ever exist?? Well yes, he did. There he is when I narrowed the search on SP to Petty parish only. But he still doesn’t appear in the all-county search. Duh? I wonder if anyone else has experienced a similar disconnect in their search results? (Don’t be shy; tell me if I’m doing something dumb.) Scotlands People must be rosy with delight because I am going through credits like nobody’s business. Saving up my camel experiences to dole out slowly, savouring one post at a time, hit a serious road block. The blockage is apparent to anyone who reads the news lately. Even if all you can bear are headlines, you will know that the Middle East is in an uproar. The wind of change is blowing through this region ... with apologies to Harold Macmillan. My preferred camel countries are now pretty well off-limits for slightly adventurous over-the-hill ladies who appreciate the creature comforts of escorted tours. Now that I have the hang of the tour business, I know I can weasel a minimum half-day camel ride by choosing the right time and place. Notwithstanding an obsessive-compulsive tour leader. Tours have a certain-shall we say-conformity. The spirit of adventure applies to reasonable defiance in the face of regimentation ... and the best companies are flexible. To be fair, there are plenty of countries other than the Mid-East where I could access camels. Australia is over-run with the poor starving beasts. 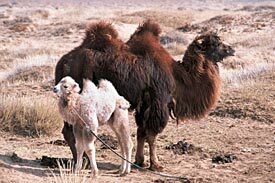 Mongolia has plenty of the shorter, two-humped (note to self: less impressive) Bactrian sort. Many tours of Morocco touch on the Sahara for a token camel pose, shades of Giza (note to self: been there, done that, moved on to intermediate level). In a list of attractive no-escorted-tour opportunities, Timbuktu gives you the complete and unabridged Sahara but I hear the outlaws have a nasty habit of kidnapping foreigners. Libya offers (i.e. 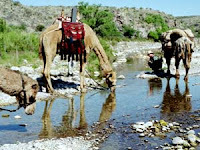 offered) a desert oasis where you can stay for days in modest comfort and ride from sunrise to sunset. Would you believe Texas has at least one camel enterprise? I do my research. With respect, Texas lacks cachet in the exotic department, although I could bring my cowboy boots. On second thought, Doug actually takes people into the Sinai and has deep contacts there. But my preference is for camel countries + Bedouin. It’s been over a year and the restlessness grows. The trip to Syria—aaahh, a full day on the majestic animal among the glorious Palmyra ruins—was cancelled for sadly understandable reasons. 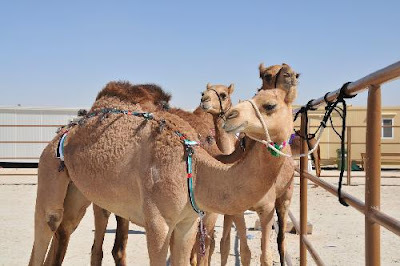 Meanwhile, the UAE went ahead without me at their annual Dhafra Festival. And of course they have a diplomatic argument with Canada now, making visits more complicated. 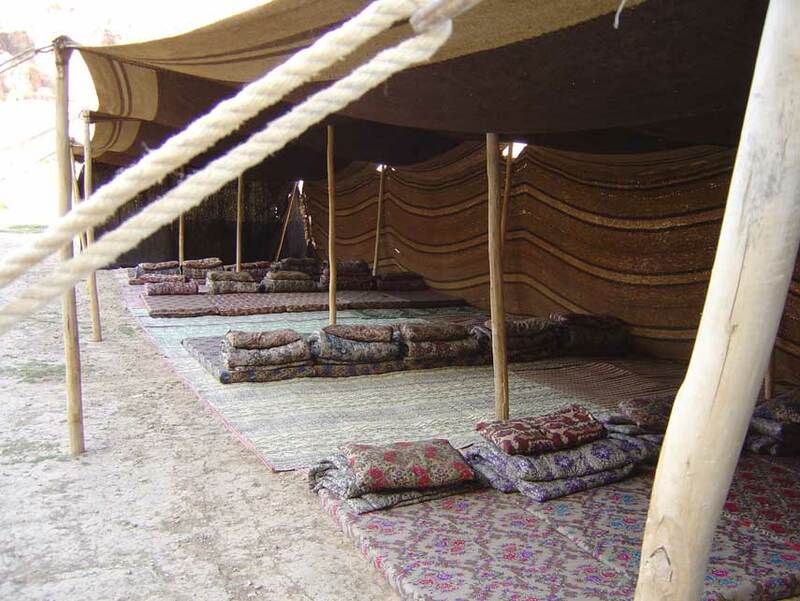 At Beidha near Petra is a camp with day trips on camels but let’s be real here, it’s for young people who can sleep on the ground all night and still stand up uncrippled in the morning. On the other end of the scale are the stunningly expensive Abu Dhabi luxury versions in the Liwa desert. Sinai resorts sound grossly over-commercialized. Iraq is still rather scary. While I wait for Syria to settle down, it’s tempting to plan a solo trip. Oman has the lure of The Empty Quarter desert. Israel has the Negev desert with the plus of a near-relative living in Jerusalem and a minus for a camel farm with extremely spartan (the aching back again) vegetarian overnight quarters. Wadi Rum in Jordan is burnt into my psyche, having visited twice and loved it. Lack of Arabic and nuances of the language, without a reliable and fluent interpreter, would be like an egg without salt. “Wind of Change Speech,” About.com: African History (http://africanhistory.about.com/od/eraindependence/a/wind_of_change1.htm : accessed 31 March 2011); British Prime Minister Harold Macmillan to South African Parliament, 3 February 1960. Here I am again with those Highlanders. So soon after Tartan Day! There’s a difference. After the Battle of Culloden, the wearing of tartan was forbidden for 36 years. When the parliamentary act was repealed in 1782, the Highlands of Scotland had undergone a sea change to emerge from mediaeval times. Painting of Prince Charles Edward Stuart by Simon Hill. The white cockade distinguished the Jacobite army. Family researchers can’t assume an ancestor, based only on his surname, geographic location, or religion, was a Jacobite warrior. Some clan loyalties were split “for or against.” The Young Pretender, aka Bonnie Prince Charlie, inspired an ideal greater than himself but he also raised personal misgivings among his followers. The final battle at the ill-chosen, ill-fated Culloden location was fought by hungry clansmen weary for their homes. 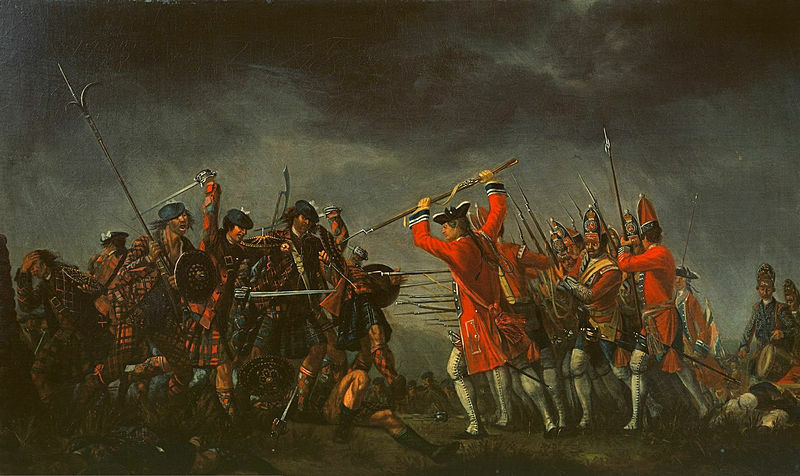 David Morier’s iconic painting of Culloden and other contemporary works of art dispelled the illusion that each clan previously had its “own” tartan. Morier’s military paintings are in the Royal Collection (http://www.royalcollection.org.uk/egallery/). "It is a fact undeniable, and known almost to everybody, that upon Friday, the 18th of April, which was the 2nd day after the battle, a party was regularly detached to put to death all the wounded men that were found in and about the field of battle. That such men were accordingly put to death is also undeniable, for it is declared by creditable people who were eye-witnesses to that most miserable and bloody scene." The Duke of Cumberland was merciless in weeks of pursuit to exterminate the losers. I have a concern that images are not only not always loading into Blogger, but also previously posted images keep disappearing! What's up with that?! Half of my personal heritage is Latvian which deserves equal time with the Highlanders. The great cosmic question is why this heritage saddles me with two languages incomprehensible to 98% of the world’s population. My formal schooling was sorely negligent in vocational skills. True, French is ours for the taking (“ours” = we anglophones in Canada). It’s useful if you watch the French TV channels or if you lose the English instructions for how the garage door-opener works. Doesn’t do a darn thing for my family history, though. Admittedly, few historic Scottish records were created in Gaelic and certainly none about my ancestors. 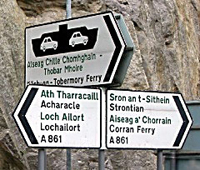 But the language renaissance is very visible when visiting the Highlands and it’s often surprising how many inhabitants are bilingual when they want to be. Learning a few words is almost a familial duty if only you could scale the pronunciation wall. It always amazes me that my great-granny Campbell (1845-1924) whom I never knew, born and bred on Cape Breton, lived and died in Gaelic. Image: BBC News. Latvian language presents its own unique twists. Rampant, strange, diacritical marks. Exhausting to reproduce in a regular word processing program. However, the best of news: All the church registers and important lists of estate inhabitants up to about 100 years ago have been digitised, freely available, on Latvia State Archives’ wonderful Raduraksti database. Image: Family postcard, BDM collection. Problem is ... before the First World War the majority of records in what we call Latvia were created in German by the Lutheran pastors and landowning Baltendeutsche (but the personal names are usually recognizable). Image: Van Tranche to Freibergs, Wattram estate, Kalna Koneni land registry, 23 April 1878; Latvia State Archives 1615.6.1149, p. 7. If that’s not enough of a headache, my grandmother’s family converted to the Russian Orthodox church 170 years ago, and guess what language their records exist in? It doesn’t stop there, either. That particular family originated in Estonian territory. I spare you an illustration of an Estonian record. My newfound Estonian cousin best friend forever is Swedish. She has about ten words of English. Ten words more than I have of Swedish. Communicating with each other is way better than sudoku for stimulating the brain overtime. Hindsight tells me it’s OK I didn’t take a crash course in Latvian. As research progressed, so did the realization my multilingual ancestors would have sent me cross-eyed fumbling off the deep end. A spreadsheet is calling. Just gimme the essential born-married-died words. Yes, nuances and perhaps even important notes could be missed with this callous attitude. That’s why we have resource people to call upon! Picking up the necessary written words is akin to learning enough spoken words for foreign holiday travel—sufficient to impress yourself, if not the natives, with please, thank you, and where is the toilet. We’re not particularly going for verb tenses or gender endings, right? Fortunately, in family history application we needn’t create whole sentences in another language. Or would you argue? 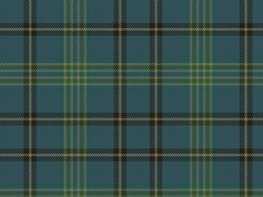 April 6th is Tartan Day in Canada and the U.S.A. See my new favourite tartan. Chris who blogs at Scottish GENES will freak if he ever sees this. I respect Chris very much but he is death on spurious Scots regalia and I’d like us to be on speaking terms when he lectures in Toronto in June. He has written plangently more than once about the “Scottishness” industry created in the 19th century and embraced ever since by commerce, tourism, and us in the diaspora. I happen to agree with much of what he says. A kilt manufactured just-so does not a Scotsman make. Nor is it a symbol of the historical, agricultural Lowlands. Revisionist cultural trappings do not define ancestral identity. Nevertheless, it would be impossible to erase the ensconced images of Scottish heritage portrayed by pipe bands and regimental dress and clan associations. One can admire a tartan without submitting to dress code rules our Highland ancestors would have laughed at. In our modern age, new tartans are being designed by disparate organizations. Some of them are very beautiful. They can be admired per se – as a salute to certain traditions, even though some may be twentieth-century traditions. The Arinagour primary school on the Isle of Coll held a competition for an island tartan design. The winner (above) was 8-year-old Maria MacIntyre, inspired by the natural colours found on Coll—sea, sky, heather. The ancient skills of weaving and design have continuing resonance in quiet places. Tartans are very familiar to Canadians. The Royal Canadian Air Force (RCAF) tartan has its own tradition. It was officially registered on 15 Aug. 1942 by the Lord Lyon King of Arms of Scotland. The distinctive tartan disappeared after amalgamation of Canada's Armed Forces in 1968 when a generic uniform was introduced. In fact, stocks of the fabric were destroyed. The RCAF Association managed to preserve an official sample, and the tartan was later reinstated. Photograph from Clans and Scottish Societies of Canada (http://www.cassoc.ca/tartans.htm). Tartans are SO familiar to Canadians that last month the Maple Leaf Tartan was approved as an official symbol of Canada. Along with the maple leaf and the beaver, the tartan is now one of the official symbols of the country. You can see the colours of the maple tree reflected in the fabric. “Tartan Day” is celebrated in Canada and the U.S.A. on April 6th as a tribute to Scots ancestry. As Chris might ask, how many of the enthusiastic celebrants know their ancestors? Meaning taking the time and trouble to determine their actual place of origin and learn about their lives. And how many Scottish descendants recall that April 6th is the anniversary of the Declaration of Arbroath? Independence for Scotland has had many a battle in the 691 years since. “Air Force Tartan,” 402 Pipes and Drums Band (http://www.402pipesanddrums.com/airforcetartan.htm : accessed 24 March 2011). “Tartans,” Canadian Heritage/Patrimoine canadien (http://www.pch.gc.ca/pgm/ceem-cced/symbl/o6-eng.cfm : accessed 25 March 2011). 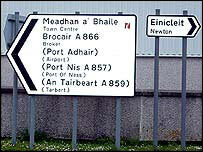 “Did You Know?” Rampant Scotland (http://www.rampantscotland.com/know/blknow_arbroath.htm : accessed 26 March 2011).